In the Northwest there is a well-above average amount of rainfall that occurs, making water damage something that needs to be explicitly dealt with by the professionals at 911 Restoration Seattle. Storms can create leaks, sewage backups and burst pipes, all situations that can leave your property soaking wet. In any water disaster you need fast, efficient service, which is exactly what the Sammamish water damage pros will provide you with. For the Sammamish flood cleanup professionals, customer service is key to providing successful water damage services. We offer free home damage inspections and always have competitive prices for all of our facilities, so you never have to go anywhere else for help. The IICRC certified Sammamish water extraction technicians know from experience that water damage does more than just make your home wet, it also brings with it mold. If your home becomes overrun with fungus and mold, then it can lead to health issues. Left untreated, it can deteriorate the structure of the home, weakening the foundation and ruining the possessions inside. 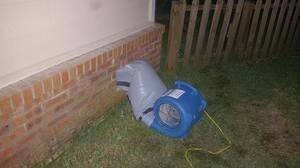 When water damage causes mold to grow, you may begin to feel the signs before you even see them. If you notice that you experience allergy-like symptoms whenever you are in your home, such as sneezing, itchy eyes and headaches, then you might have mold growing in the walls and ceiling. With 35 years of experience we know exactly how to make your home a moisture-free zone. This is why it is important that you contact our Sammamish flood extraction experts at the first sign of mold or water damage. We will arrive the same day and conduct a free visual mold inspection. We will go through your insurance policy with you and make sure you understand your coverage. We will even file your claim for you, doing all that we can to get you the most coverage possible. At 911 Restoration Seattle, the Sammamish insurance specialists will handle all the communication with your insurance company. Our Sammamish water removal technicians are available 24/7/365 to take your emergency calls. We don’t ever want water damage to sit for an extended period of time, because our crews know how quickly it can turn into a more serious issue. Our Sammamish service agents have a lot of experience working with insurance companies, so you can call us around the clock to answer any questions you might have. When you discover water damage in your home, call our water damage Sammamish leak repair experts with 911 Restoration Seattle, because we can’t wait to give you a fresh start today!